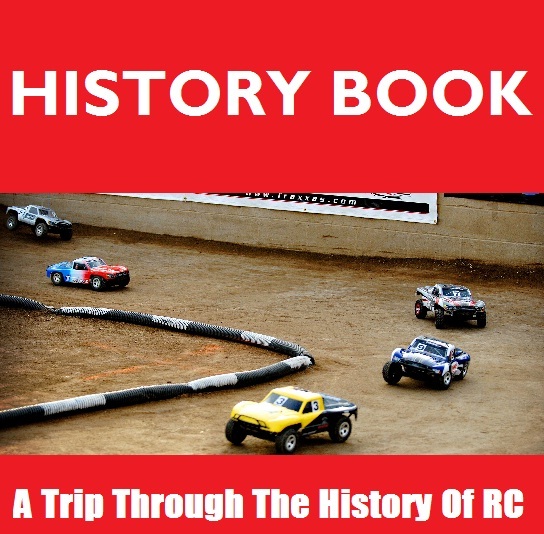 While I’m sure many of us who have been around the hobby a while could do an adequate job of putting the pen to paper so to speak and come up with a decent account of the history of RC. But, adequate is just, well, just another word for mediocre. As a community we could do a lot better. So, let’s do this together. What you see below is a combination timeline of milestones and oral history of our hobby. More specifically, what you see is a work in progress. If you believe something should be added such as a significant milestone or have some insight to share, let’s have it. 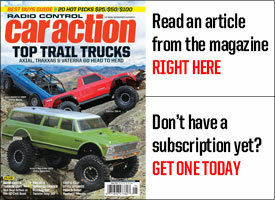 My goal is to have this article authored by the RC community and to run it in RC Car Action magazine. It’s not going to feature every vehicle release or race win. It’s about the vehicles and events that changed the hobby. 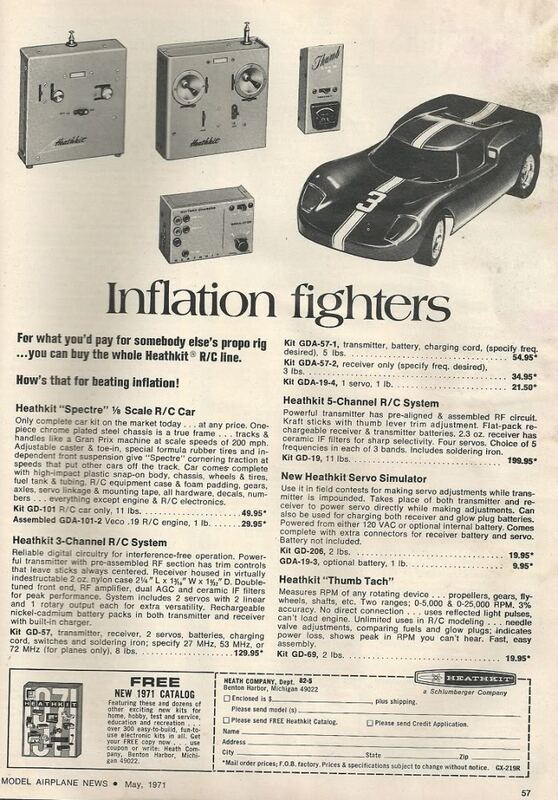 The Early Years of RC Cars As early as 1971 companies such as Heathkit offer RC car kits and electronics components. 1971 Team Associated, known then as Associated, debuts its first vehicle, the RC1 which is an 1/8-scale nitro-powered on-road pan car. 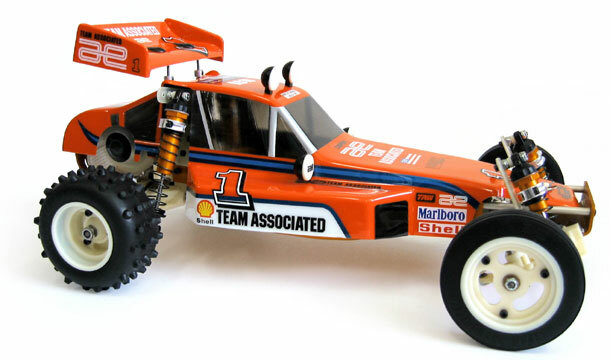 1975 Team Associated, known then as Associated, releases the 1/8-scale nitro-powered RC100. 1978 Team Associated, known then as Associated Electrics, releases the RC12E 1/12-scale electric pan car. 1979 Tamiya releases the Sand Scorcher and Rough Rider scale off-road electric off-road kits which kits off what is often referred to the golden era of RC. The Golden Era Off-road electric racing is huge at the club level and even bigger as almost a neighborhood phenomenon as almost everyone has heard of seen a Tamiya Frog or Hornet. 1984 Team Associated, known then as Associated Electrics, introduces the RC10 electric buggy that is built specifically with a focus on high performance. 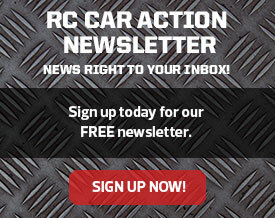 This begins the shift from RC scale models to high performance RC cars. 1985 Novak releases its first RC car electronic speed control, the NESC-1. 1985 The first IFMAR 1/10-scale Electric Off-road World Championship takes place in Pomona, CA. Jay Halsey and Gil Losi, Jr. won stock and unlimited respectively. This marks the start of an era of electric off-road racing being the most popular segment in racing. 1985 The first issue of RC Car Action magazine, dubbed Winter 1986, is released. 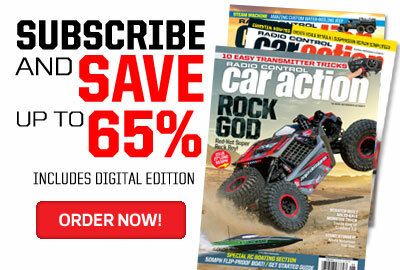 It quickly becomes and continues to be the overall best-selling RC magazine in the world. 1986 Tamiya releases the original Blackfoot monster truck which launches a long run of monter trucks being the most popular basher in RC. 1988 Losi releases the JRX2. 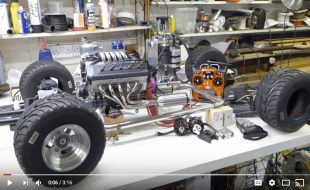 This 2WD electric buggy competes with the Team Associated RC10 and kicks off what many consider the greatest racing rivalry in RC. 1988 The movie The Dead Pool, starring Clint Eastwood, provides major exposure for RC. The antagonist in the film uses an RC car armed with a bomb as a weapon. 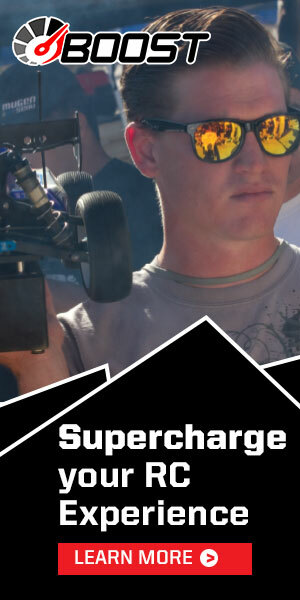 Jay Halsey drives the car and starts a career working RC for Hollywood productions. 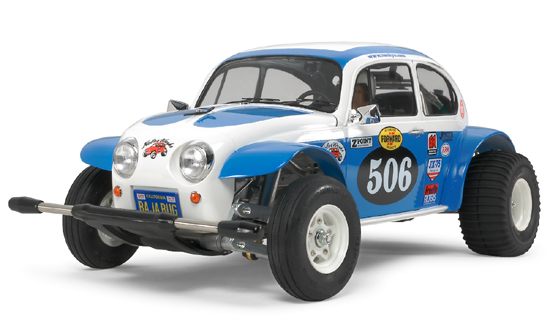 1989 Team Associated releases its RC10L and the electric pan car era is in full swing. The Pan Car Era On-road and oval racing are huge with many purpose built tracks found around the U.S. Large oval races and speed runs are also taking place at bicycle velodromes. 1993 Team Associated releases RC12LS, RC10LS and RC10LSO all with highly adjustable Dynamic Strut front suspension. This becomes the standard frontend on numerous pan cars. 1994 HPI offers its first vehicle, the Super F1. Previously, HPI only offered hop-ups parts and accessories. 1994 Traxxas releases its 2WD electric monster truck the Stampede and the 2WD electric stadium truck the Rustler. The Touring Car Era Tamiya TA01/TA02 series of on-road cars take off in popularity and the touring car racing segment rapidly grows and takes over the hobby. Other companies to offer touring cars include but are not limited to Corally, Team Associated, Losi, Schumacher, Serpent, and XRAY. 1998 HPI releases RS4 Mini which often gets credit for starting a large minis and micros trend. In the midst of the touring car craze, HPI also releases the RS4 Rally with molded interior, long shocks and off-road tires. 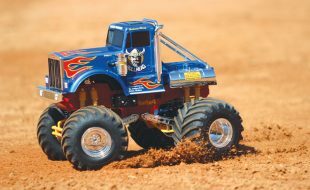 1999 Traxxas introduces the T-Maxx nitro-powered ready-to-run monster truck that shifts the hobby from kits to ready-to-runs and from electric to nitro. 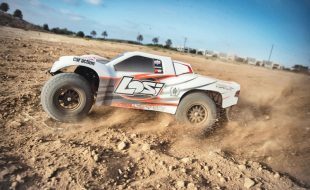 2001 Horizon Hobby, a major distributor and online retailer, buys Losi. 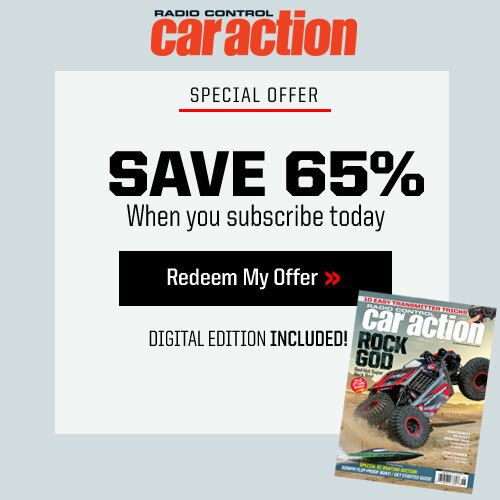 2004 RC rock crawling starts to get more mainstream and Jason Hansel launches RCCrawler, a website dedicated to the fast growing segment. 2005 After offering 2.4GHz conversion modules, Spektrum releases its own 2.4GHz radio system. While not the first 2.4Ghz system in RC(Nomadio gets credit for that), this does serve as the starting point of the switch from AM and FM to 2.4GHz. 2005 Team Associated is purchased by Thunder Tiger of Taiwan. 2007 Axial releases its AX10 Scorpion rock crawler kit that makes it easy for anyone to build a vehicle capable of rock crawling. The segment virtually explodes. 2008 Traxxas introduces the Slash 2WD short course truck which kicks off the short course segment. The hobby shifts back to electric. Other companies to offer short course trucks include but are not limited to Durango, HPI, Jammin’, Kyosho, OFNA, Team Associated, Losi and TQ. The Short Course Era While the return to scale arguably started with rock crawling, the hobby has truly come full circle with short course trucks that look like the full-size race trucks competing in TORC and LOORRS. While technically different, short course trucks also resemble, at least in general function and proportions, the trucks that have been raced in open desert races like the Baja 1000 for years. 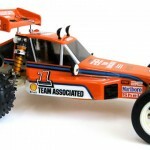 2011 Horizon Hobby renames the racing side of the Losi brand Team Losi Racing (TLR). What about 12 scale pan cars. Associated 12e. And befi=ore that Jerobee and Cox. can you add anything about pan car racing like when associated came out with pan cars the 10th and 12th scales. trc, trinity, corrally, crc. maybe the velodrome or “the whip” races. stuff like that. maybe some dirt oval racing although i dont believe rc car action didnt really cover a whole lot of that. I think you have forgoten a lot of category, it’s bad. 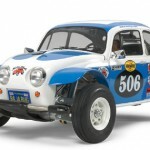 Remember the genese, RC100 and so on, on road Kyosho cars, the begining. This is just a start–an intentional work in progress. I want this authored by the RC community, not just me. I want input and I want to see what other people believe are the most influencial and important milestones. What about the Traxxas Nitro Hawk? It was the first production 1/10th scale nitro stadium Truck. For that matter, what about A-Main Racing’s nitro conversion for the RC10T, designed by owner Rich Boomsma? That definitely help usher in the nitro era for something other than 1/8th scale buggies. Also, don’t forget the Tamiya Clodbuster, F101/2/3’s, Traxxas Sledgehammer, HPI RS4; all ground-breaking vehicles for their time. Don’t forget rctvlive com they started way back in 1995! I watced on PBS saturday morning at 6 am. We watched together before we went out to the track. I had a traxxas bandit and we raced it and got beat week after week but we loved it. Show is still on and I still have the bandit although it is not running. Keep in mind this is intentionally a work in progress. I want input like this and not just my ideas. Hi Matthew – Great idea. It’s a vast topic though, the sky’s the limit in terms of the granularity you want to get to. Regarding the EP TC craze I think it’s fair to mention that Marui released the first full-package 4wd TC – that was the Marui Coors and it was based on the Ninja-Shogun design. I believe this was in 1987. The other “key” thing that come to my mind right now is the introduction of the ball diff to RC, done by C. Schumacher with the C-car – 1983. One last thing I think is worth noting – Kyosho changed the game (at least) twice in RC history. 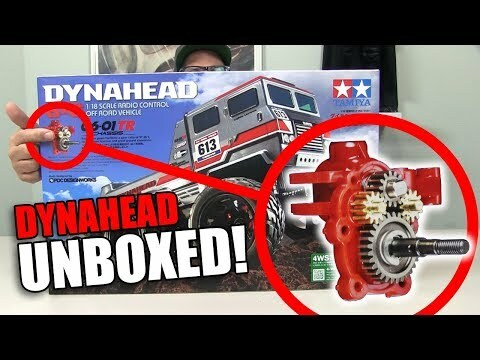 First with the Optima, which was the first 4wd that was competition ready out of the box and could run circles around the 2wd RC10 – The Dogfighter was great, but it required some serious hop-ups to get it to that feat. Second is the Kyosho Burns, that actually was the first 8th scale offroad car that could be built by a 10y.o. kid, before the Burns, one needed a PhD and a lathe to be able to get any 8th assembled, let alone running properly. You got to add The Kyosho Ultima/Optima/ and Mids plus the whole monster truck phenom that started with the Blackfoot. Man. There was the whole oval craze in the late 80’s early 90’s as well. 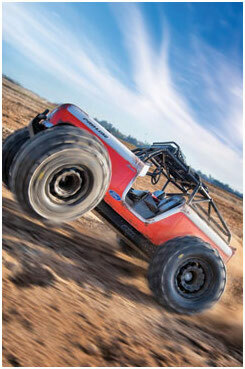 What about the release of the HPI savage and the axial scx10? Both were major, since the scx10 brought scale crawling to the masses(there is almost always at least one honcho or dingo at the scale comps I go to) and the savage, it was another huge release. I think their should be a section of pan car era. The “Whip”, “King” in NC, also the “Midwest Triclone”, the best tracks of the pan car era 80’s-90’s. 1/12th scale onroad also like the cars and the big races like; Cleveland, OH. Where there was about 300-450 entries every single year and their was only a stock, mod and seniors class. Thanks for your time and can’t wait to see what you finalize in your book. To be fair I’m sure parts could be their own article and that may be another idea. First RC car “kit”. I think Tamiya Holds that honor with an on road car. Somewhere around the mid to late ’70’s I think. First ESC. I believe that Novak has that one, though they did make other RC related item prior to their first ESC. Thinking servos for some reason. Trinity and Reedy for brushed motors. Trinity had their Epic based motors and Reedy had their Yokomo based motors. Both were at the forefront of the brushed motors and just about all other motors were based off of one or the other motor design. First Truggy kit. I think Cen hols that one, though the truggy market seemed to really take off when the Jammin CRT hit the market. For that I would probably include both. Brushless/LiPo. Foe elec. that was/is probably the biggest milestone reached in the last 20 years. I think the airplane guys had been using that tech. for a fair ammount of time befor we car guys were. On the Nitro side. Talking motors here, both OS and Novarossi have set the standard to which everyone else either tries to out perform or copy. Racing. Along with Jammin’ Jay winning the first IFMAR Worlds for offroad, I would also include Masami Hirosaka. He is without a doubt the winningest Driver ever in the history of RC. That alone would put him in the history books, but the other reason include him is for his ability. He could wheel anything in RC and most likely win. In a time when most top Teams had seperate onroad and offroad teams, he could do it all. Something that now seems to be more of the norm. Tires and wheels. The milestone here was the advent of the one peice wheel, from the heavier three peice design. Though some still use that design or prefer it. Second part is the advent of foams in the tires. Though some don’t like it too much, the use of foams in the tires took tire tech. from being super hard tirres that mostly never seemed to work right for racing, though would last forever. To the more common softer tire compounds that are better suited for racing and track conditions. Another tire milestone was for the 1/8th classes. Premount tires. For the new racer to be able to go out and buy a set of tires and go right to the track and race/play/practice without having to glue them up was a huge plus. Given that most new racers/hobbists don’t know how to properly glue tire to wheels, the premounts gave them the conveince of not having to glue them and got themout to the track faster. Last nitro related thing would be Ron Paris. The grandfather of nitro motor modding. His work helped spawn many ideas for motor modding and helped to make a market for motor modding. Finally the single biggest milestone in all of RC in my opinion was the internet. The internet was a total game changer. For better or worse, the internet helped racers/hobbists to have access to products that they would otherwise not have had access to. Talking on line shoping here. Sure it helped to put some smaller shops out of business, yet it also helped some shops stay in business. 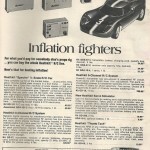 It also helped to keep some prices in check for the consumer. It’s not perfect and the debate can rage on for ever about all the pros and cons of online shops/shopping. Fact is it changed the way people buy and the way businesses do business. Race flyers for Big events. With the advent of the internet, waiting for the event flyer to show up in the mags can be the difference of making the event or not. With on line entries and being able to pay for that entry, many more racers have the ability to plan for big race events and it also gives the event orginizers a fair idea of how many racer to ecpect for an event. Though part me is a bit sad to see the shift away from the days of seeing the race flyer in the mag and quickly ripping it out, filling it out and sending it in as soon as you could to make the entry list, I do like being able to plan for events further out. Bitter sweet I guess. LIve RC. without the internet, that would have never been possible. Not good for race coverage in the mags, though I still look forward to reading about them in the mags, it changed the way race coverage was done. Live Rc brought event coverage to the masses. Many people use their site to watch the live event feeds. Sure makes me wish I had thought of that first. LOL. I almost forgot about the Ray Wood vidios from back in the day. Usually done for the ROAR nats or IFMAR worlds, those vids were always sought by racers to see the racing that was only in print and pics in the mags. Can’t recall the ammount of times I have been in shops and looked at a TV playing one of those vids or now the newest DVD from a recent event. Definetly waterproofing, that was a game changer bringing new people to the hobby. Maybe the revo platform, the first rc to feature f1 suspension. The first lipos. I dunno what they would have been but research them and add them on. They were a total game changer. And talking if batteries, how about the time nimh’s were released, and we started getting batteries with +2000mah? And last but not least, alternative battery connectors. The new battery connectors were a game changer cause they wouldn’t melt and they would grander power much better. CLODBUSTER! I remember walking into the local hobby shop, after having set my mind on getting a Bruiser for X-mas, and seeing this monster sitting on the counter. Changed my mind instantly. Everyone I new ended up getting one. I can’t think of any other car or truck at the time that had this many hop-up parts available. How about some of the people that RC has lost like Mike Reedy and Big Jim Greenmyer. Clodbuster hop-ups, Clodzilla kits, See’s wheels. Arguably the foundation of the crawlers.